WWW2017 is in less than a month! 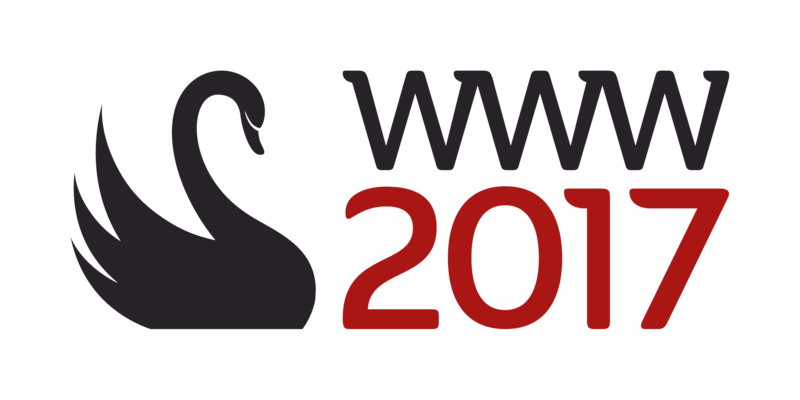 The 26th edition of the annual World Wide Web Conference will be held in Perth, Australia, from 2 to 7 April 2017. The way we think about money and payment is being disrupted. More non-banking players are entering the market and the number of digital payment solutions on offer is growing. This calls for a concerted effort to address issues such as interoperability, security and ease of technology integration. W3C (The World Wide Web Consortium) was founded by Sir Tim Berners-Lee, with the mission of leading the Web to its full potential while ensuring it remains open and accessible to all. W3C develops standards underpinning the Open Web Platform, which offers tremendous potential as the driver behind the transformation of the Web Payment Industry. Would you like to hear about the latest work being done at W3C in the web payment space? W3C Australia, in partnership with Stone & Chalk, is hosting a keynote address by Ian Jacobs, Head of W3C Payment Activity, followed by a panel discussion on “The Future of Web Payment”. Panelists are Ian Jacobs from the W3C, Rick Wingfield from Australia Post and Richard E Schutte from NAB. Kerry Taylor, who is the chair of W3C/OGC Spatial Data on the Web Working Group at the Australian Computer Science Week of Conference, is delivering a talk on Semantic Sensor Networks: The Internet of Things needs the Web of Data. Bert Bos, who joined the World Wide Web Consortium (W3C) in 1995 and is working on further developing the CSS specification since then, is joining us for a hands-on CSS workshop at the Australasian Computer Science Week on Friday the 5th from 2-5pm in the P.A.P Moran G08 (Building 26B) of the Australian National University. 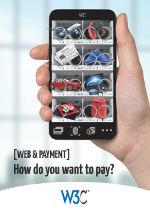 The World Wide Web Consortium (W3C) has now launched the Web Payments Working Group to help streamline the online “check-out” process and make payments easier and more secure on the Web. The proposed standards aim to make web payment transactions simpler, faster and more secure, while supporting an array of payment methods. Standardized APIs (Application Programming Interfaces) will enhance user experience while making it easier for Web developers to integrate existing and new payment flows into their applications. Check out the charter (and supporting FAQ) for this new Web Payments Working Group, the official W3C press release (including testimonials from members such as Bloomberg, Deutsche Telekom, Digital Bazaar, ETA, Federal Reserve Bank, Ingenico Labs MAG, NACS, Qihoo360, Rabobank, Ripple and WorldPay. The World Wide Web Consortium (W3C) is an international community that develops standards to ensure the long-term growth of the Web. Read about the W3C mission. The W3C Community has created useful Open Source Software. Try Unicorn, W3C's unified validator, to improve the quality of your pages. Unicorn includes the popular HTML and markup validator, CSS validator, mobileOK checker, and more. Become a validator sponsor. The W3C cheatsheet provides quick access to CSS properties, WCAG tips, mobile tips, and more (also available on Android market). Copyright © 2011 W3C® (MIT, ERCIM, Keio) Usage policies apply..